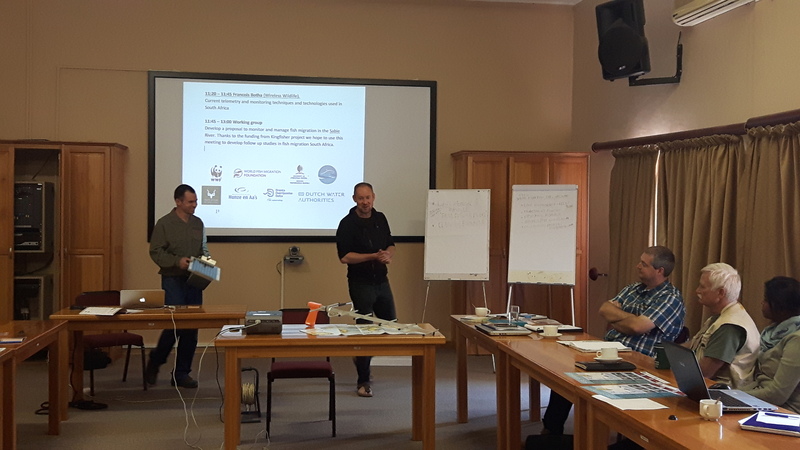 Following the annual SASAqS conference last June, we hosted a fish behavioural ecology and swimway monitoring methods workshop at Skukuza. During this workshop, information and experiences related to local and international telemetry techniques were demonstrated with application considerations. During this workshop the concept of the South African Swimway Programme was initiated. 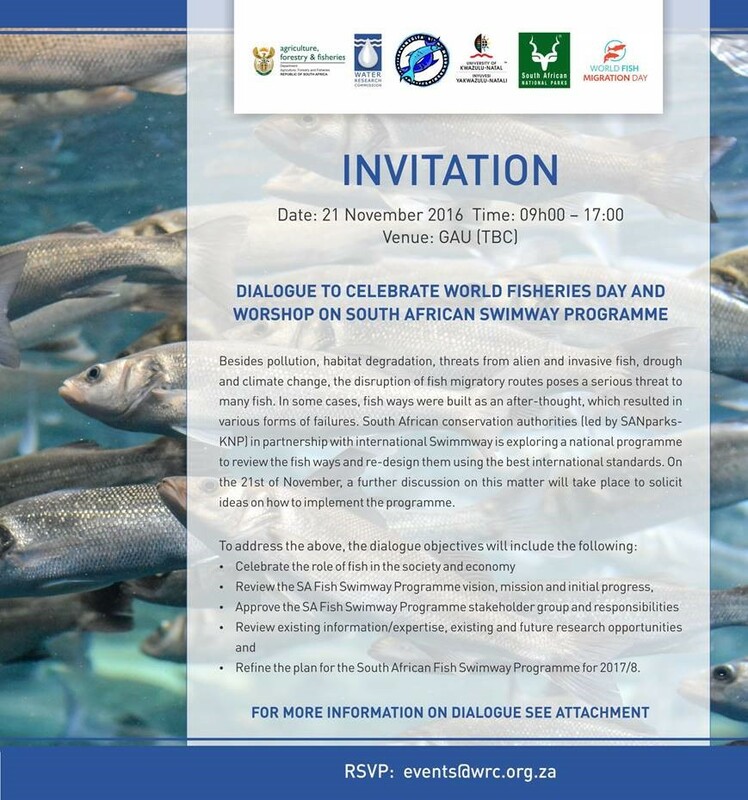 Herman from the World Fish Migration Foundation chaired this workshop. François from Wireless Wildlife showed us the latest telemetry technology. He detailed the efficiency of the telemetry devices and their pros and cons for studying fish migration. A report regarding the outcomes of this workshop is about to be produced and will be posted here as soon as it is available.